The Empowered Entrepreneur sets you firmly on the path to a thriving business. 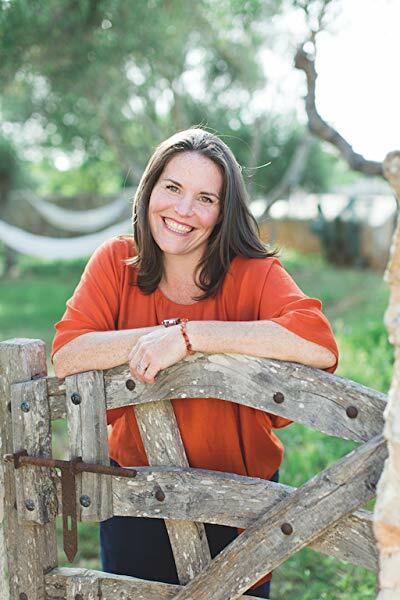 Through a powerful process, based on decades of experience, Elizabeth Cairns takes you on an inspiring and emancipating journey of professional mastery. You will explore the many facets of running a successful business in a way that helps you put your talents, passion, vitality and creativity at the heart of everything you do. By showing you how to make congruent, confident decisions for your work, curate your workload, manage your process, say no with grace and much more besides, this book will help you take back the power in your life and the control of your business. Besides thinking of yourself as the “Entrepreneur”, by the end of reading this book, you’ll find it hard not to imagine yourself as anything other than empowered and ready to start a successful business. 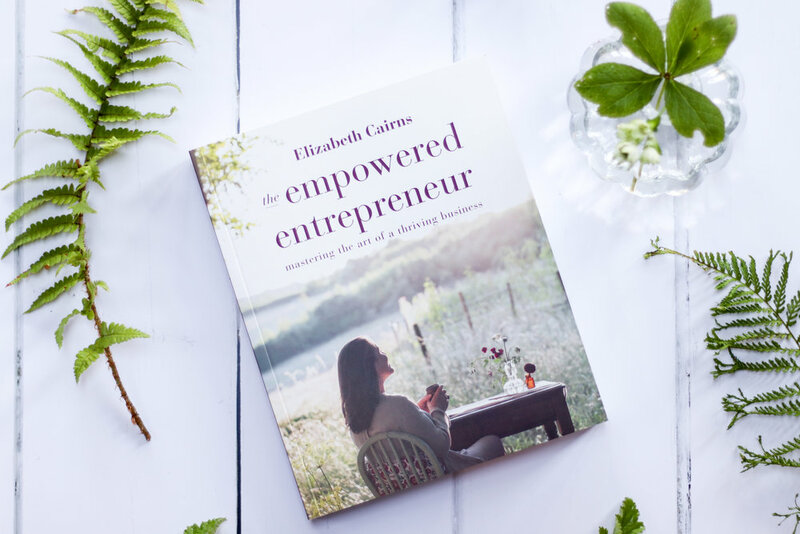 The Empowered Entrepreneur is a delightful encyclopedia of pages that cover topics like ‘the heart of a thriving business’, ‘increasing the worth of your offering’, and ‘finding your niche starts with you’. 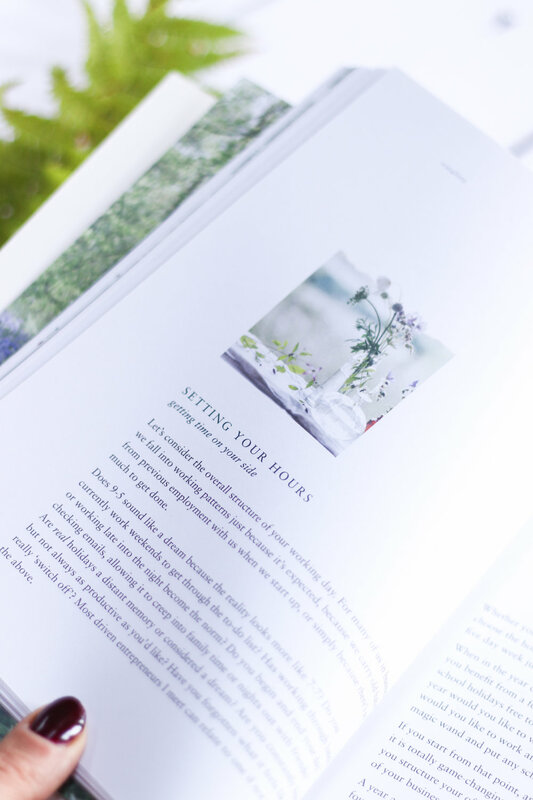 I really thought the layout of the book was particularly helpful as Elizabeth’s tips and tricks were separated into bite-size chunks that were easy to consider and then reflect upon as whatever you’re reading, whether its a chapter on ‘Vitality’, or simply ‘Getting it Done’, you know that along your carefully curated root, you will achieve the goals you want and also the ones you’ve probably not even thought of. Something Elizabeth explores well is how your business truly is a reflection of you and your current state of mind. If you’re not happy with certain aspects of your life, and not working on them, you’ll most likely be neglecting things that are vital in your business too. Part of the growing process is this constant cycle of learning, don’t be afraid to get it wrong and rebrand, keep going until you feel like you’ve got it right. A section that really works for me is ‘Space in the Every Day’ (p 100-2), which looks at simple ways to create more space. Elizabeth tackles topics like ‘set your working hours in advance’, ‘pause for thought’ and ‘schedule it in and make yourself accountable’. There’s nothing more productive than planning ahead so if for instance you’re suddenly ill and come down with the flu, its okay because you’ve already scheduled those blog posts for the next two weeks so you can relax and get well. Relying on having ‘spare time’ is a sure way to remain in that frustrated loop of never fully achieving your potential because you’re too focused on a thought process that is only going to leave you with a negative outlet. 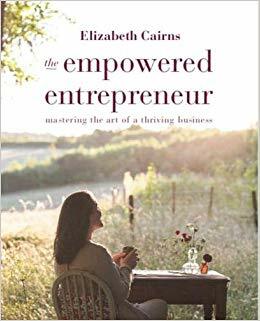 You can purchase Elizabeth’s book, ‘The Empowered Entrepreneur’ here.